This collection of 11 SmartTips videos covers the latest in marketing and customer service strategies in a quick, 3 to 5 minute format. Market segmentation helps you figure out just who your markets really are: young, old, rich, poor, rural, urban, and so forth. Target market strategies help you decide which markets are most likely to be profitable for you. 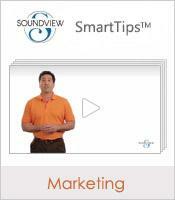 In this SmartTips video, we look at five different target market strategies. Decision-making is an important component of a manager's daily routine. Using the proper methods to make those decisions will help to ensure the most viable, profitable and widely accepted outcomes. 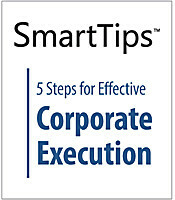 In this SmartTips video, we take a look at four decision-making methods. Decision-making can be difficult, but there is a way to help you make the right choice. This SmartTips video defines the Rational Decision-Making Model, which can help you to make the most logical and informed decision. 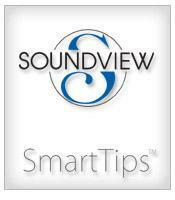 Combat indecisiveness with this SmartTips video. Learn how to identify when a quick decision is needed and how to face down the stress of making one by using these 10 simple guidelines to weigh your options and think through the process efficiently. Enhance your professional image by always making the right impression with your appearance. This SmartTips video offers basic tips on how to achieve the best look for conveying your professionalism without going overboard. What type of employee are you? This SmartTips video defines the positions of employee, independent contractor, temporary employee, seasonal employee, non-exempt employee, and the exempt employee. Knowing which category you fall under will give you a better idea of what your employer expects from you.